This is exactly what I wanted it to be! We used these on a group ride where the lead had a 20s evo and i wore this in slingshot without helmet. Worked well. The features & ease of use is terrific. However, it has several design flaws. The mic needs some sort of wind cover for when riding a motorcycle. It's terribly noisy when talking, or trying to talk, to the person on the receiving end of the conversation. The "advanced noise cancelation" does little to nothing in reducing this problem. It is the same problem/issue while trying to use it for a regular phone conversation. You pretty much have to pull over & stop in order for the other person to hear you properly. Also, the built-in part that's supposed to keep it from sliding down on your ears is not really effective. In my opinion, that part needs to be adjustable in order to fit different sized people. Motorcycle Intercom...once you go there, you will Hear what you have been missing! they are were great. For me I needed a break after 2 hours. I cannot see journeying without them again!!!! First time buying a set and so glad we did. Great product!! The head band breaks too easy,poor quality materials used in construction of the unit. Also Sena is very very slow with warranty claims. Don't expect to see a replacement in a reasonable amount of time.I'm still waiting for over a month. While the product functions well for sound, easy of use and controls the weakest part is the headband. The original design band broke shortly after purchase and so did the next one within a month. This was not from hard use but was from normal use and poor quality headband. On the third unit Sena sent the design changed to address the weak band issues but it broke again in the weak spot by the ear pieces within 8 months. Senas warranty wont cover it at this point. Not only my unit but a friends unit as well. Seems Sena made a great idea very poorly. If you use the unit with very delicate hands and use its great for indoor sound and fair for riding uses. the controls are great but if you're a rider dont bother as the quality of sound and materials wont stand up to even light everyday use. The unit is a little expensive but I have bad hearing and the volume goes very loud without distortion. Pairing isn't hard but the first time, or two, it can take a sec. 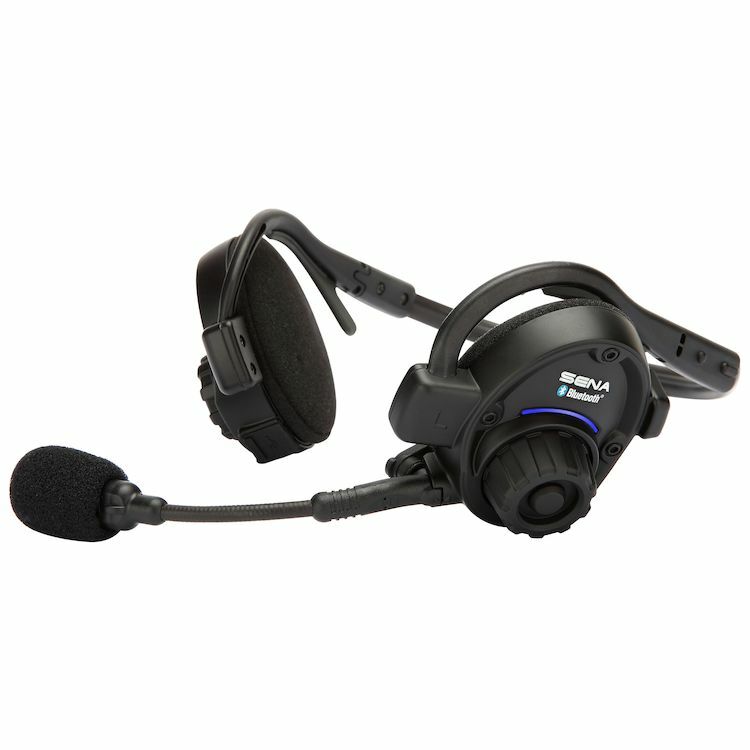 The range is line of sight as with most of the bluetooth communicators. I use my headset for my cell phone when I am in my garage working on stuff and it does very well since there is a lot of noise but the main reason for owning this is intercom on the dirt bikes/snowmobiles. The battery life is good and has a talk time of many hours. I gave the headset 4 stars across the board although I haven't had a single problem but the band is known to be a bit delicate. After a short test, this intercom system worked well. The set up of the Sena SPH10 Bluetooth Headset Intercom was a little complex. However, the manual was well written and easy to understand. After a short test the intercom system worked well. The only possible issue I experienced was a hangup of the voice intercom connection when the units were separated by about 50 feet.